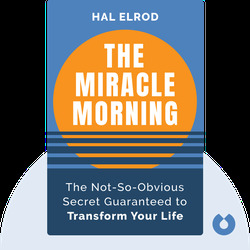 In The Miracle Morning, Hal Elrod explains the techniques that got him through the aftermath of a near-fatal car accident. Elrod realized that the key to a successful and fulfilling life was dedicating some time to improving ourselves every day. 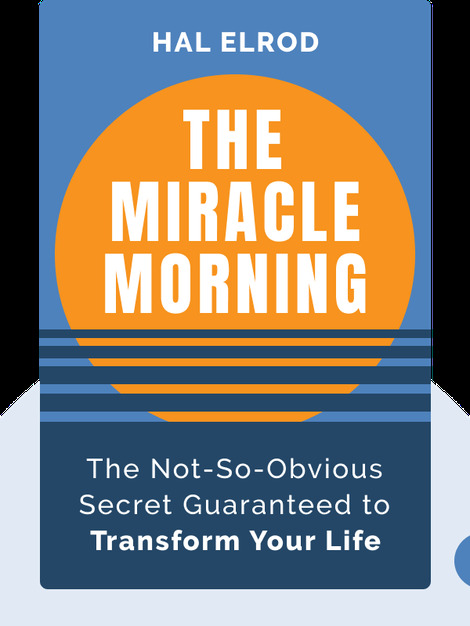 He details six crucial steps we can take every morning to help us jump-start our days and get us well on our way to a fulfilled life. After been declared dead for six minutes following a horrific car accident, Hal Elrod is a living example of triumph over adversity. Author of Taking Life Head On (The Hal Elrod Story): How To Love the Life You Have While You Create the Life of Your Dreams, Elrod is a best-selling author, international keynote speaker and one of America’s top success coaches.